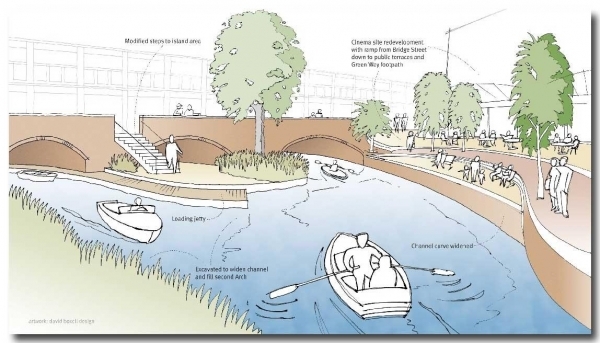 The Maidenhead Waterways Project has shared an update on it’s progress in a video and explains why the revival of the river is key to the current regeneration of Maidenhead. Planning for the project was granted in 2012 with the support of Prime Minister and Maidenhead MP Theresa May and since then, the Maidenhead Waterways Restoration Group have been working tirelessly to revive the river. Previously the River Thames ran right through the centre of Maidenhead and until the creation of the Jubilee river, it was the heartbeat of the town. After the Jubilee river was created, the river was not needed and over time it became neglected and overgrown. So the work involved in the £8million project to restore the waterways has consisted of mostly clearing the rivers of junk and overgrown trees and also removing blockages to allow the normal flow of water. The Restoration Group have relied on the help of volunteers for the labouring work in the rivers but they have used the expert help and advice from hydrologists and ecologists on how to make the river practical for the town but also to allow nature to thrive. Richard Davenport, the chairman of the Maidenhead Waterways Restoration Group, explained in the video why bringing the river back is so important in terms of the sustainability of Maidenhead and ecology and environmental sustainability have been key focal points in the restoration. In 2014 they relocated 10,000 fish to a safe environment, which is just one example of the lengths they have gone to in order to preserve the wildlife in the rivers. The overall water level is being raised to 1.3 metres and this will allow far more wildlife to make the river a home and also allow boats to travel on the river, meaning the restoration will provide residents with a new form of transport but also makes Maidenhead a great place for recreational activities such as running, walking and cycling along the banks. At the end of the project, bird huts and food sources for all types of wildlife will be added along the river in order to increase the quantity of wildlife and species. This will help to achieve the right balance between urban development and environmental sustainability, as Maidenhead continues to grow through investment. The restoration project is a key part of Maidenhead’s regeneration as Theresa May explains, “This waterways development is really proving to be a great catalyst for other development in the town centre and the rejuvenation of Maidenhead. 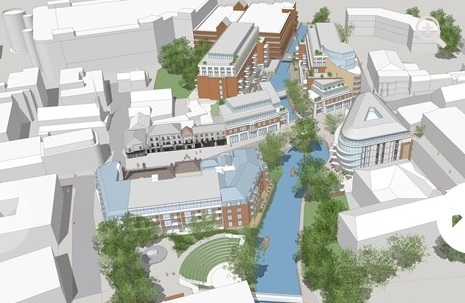 It is certainly an exciting time for businesses and residents alike, as once the waterways project is finished, big chunks of Maidenhead will be completely rejuvenated and new developments, such as us here at Lantern, can build on the works and contribute to Maidenhead’s bright future. On top of the fantastic new water network linking through the town, the new Crossrail line into London means Maidenhead will be more connected with the capital’s resources than ever before. This is why our state of the art office space at Lantern could be the perfect place for you to start your business with an ever expanding customer base and a growing local economy. In the video, Mr Davenport says, “Maidenhead today is going through a major regeneration, boosted by the arrival of the Elizabeth Line – that’s the Crossrail project – and in particular the Maidenhead Waterways project, which is centre stage.